Is long term care at home right for me? Age in place is right for anyone who is concerned about the negative impacts psychologically, physiologically and financially for the caregiver or the loved one needing long term care. It is also good for those who wish to promote better mental and physical well-being for their loved one. Age in place is the partner of home health and adult day services. By modifying the home your loved one is currently living in through simple solutions such as removing cords, rugs or other hazards that can create a fall; to constructional changes such as lowering cabinets, installing a walk in bath tub or removing steps from an entry way to create a safe and natural ramp. Medicare pays for very little and only for a limited amount of time, and often times many caregivers or older adults pay out of pocket for the majority of expenses. Age in Place through long term care at home can accomplish far more for you and your loved ones that adding plants or pictures to a room or finding more “affordable” options at an assisted living or nursing home facility. What are the benefits of long term care in the home? Besides the financial benefits, adults who stay in their homes are more likely to have better health and wellness. They are less likely to suffer from depression which affects at least half of all nursing home residents. They are also reduced from exposure to the 60-85% of residents suffering from mental illness in nursing homes. This makes the environment more like a home rather than a psychiatric ward. Finally, they are more likely to enjoy a higher quality of life because of the familiarity of their home, superior health and home services available to them, and they can remain close to loved ones. State report after state report shows that seniors who remain in their homes fare better financially, physiologically and psychologically, so much that many states are conducting studies and creating plans to increase the number of services offered, their continued quality and the availability to keep adults in their homes. When should I begin my plans for long term care? It is never too early; in fact planning ahead shows great savings in cost by preventing accidents, injuries, and self-neglect due to the inability to care for oneself. Sadly this is how the majority of many older adults end up in an assisted living or nursing homes. What is the difference between Age in Place and Universal Design? Age in Place is the process that allows older adults to safely remain in their current homes and is the best known alternative to assisted living or a nursing home. While Universal Design can accomplish this, it is primarily for those who are looking for the economic benefits of multigenerational homes where adults, their children and grandchildren can comfortably live under a single roof allowing them to share expenses and resources. What is the real cost of long term care at home? 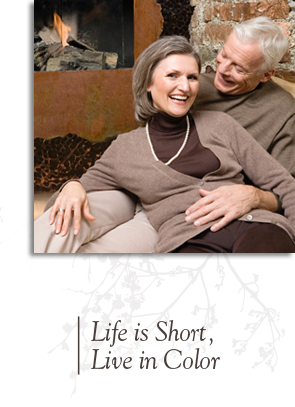 Age in Place remodeling and solutions are the most affordable and health beneficial long term care solutions. Of course these solutions can vary, by having a Certified Age in Place Specialist make a home visit to help identify areas of concern you can save thousands of dollars in the long run. Some areas may only need small adjustments which are dramatically less than the cost of one month's living in a stay in nursing home. Another route is remodeling, remodeling a home can be anywhere from a few thousand dollars for a few enhancements to an entire redesign of the home's features, construction, appliances, fixtures, etc. for around $75,000. According to AARP, this is the equivalent of the average annual cost of an assisted living facility which is $75,000 per year, and you will not have to pay it again year after year. In Florida, according to Met Life’s 2010 Market Survey of Long-Term Care Costs, shows that adult day services and home health aides are a fraction of the cost of the average daily cost of an assisted living or nursing home facility. According to AARP there is a trending decline in institutional care, i.e. nursing homes and assisted living centers ---with an increase in residential care and family care and as such is presenting new challenges specifically for the daughters and spouses left to provide the needed care. How do I start finding out what my options are to meet my needs for long term care at home? Make an appointment to meet with a Certified Aging in Place specialist and research home health care providers in your area. Debbie Sheaf is not only a licensed Interior Designer, she is also a Certified Aging in Place specialist! As the Doctor of Design, she can come in for a nominal fee and help you uncover the solutions you need to keep yourself or your loved one in your home safely. To make an appointment or ask questions, please click here or call 407-423-7355.